The Daintree Rainforest Environmental Centre (now known as the Daintree Discovery Centre) was built in 1988-9 and opened by Senator Graham Richardson on 26 June 1989. This self-funding eco tourism facility that specialises in providing interpretive information about the Daintree Rainforest and its environs. Located just 10kms north of the Daintree River Ferry, it boasts the spectacular Canopy Tower (over 23m/76 feet high), Aerial Walkway, Interpretive Display Centre with interactive technology, Creek Ecology Display and a small theatre. Self Guided Audio Tours available in 8 languages. 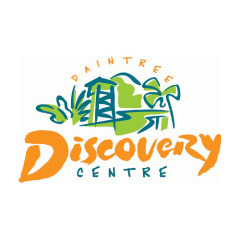 Daintree Discovery Centre has won multiple accolades with recognition in local, state and international awards, and is highly regarded as a quality eco-tourism experience attracting visitors from all over the world.